Nature in Pictures, photographs by Amy Finkel will be on display and for sale through March. Join us for a meet the artist reception on Saturday, March 17th from 2-4 p.m. Free and open to the public. Gallery hours: Tuesday-Friday 10-6:30, Saturday 10-5. Call 508-949-6232 for more information. Amy Finkel is a stay-at-home mom to 4 1/2 year-old twin girls. She started taking photos on day trips with her daughters, and she continues to do so. 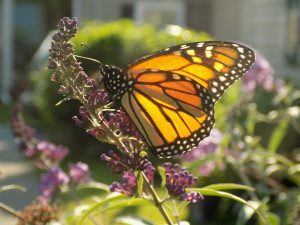 She considers herself a “mother-nature appreciator,” taking pictures of flowers, butterflies, and other nature scenes. This is her second time displaying her pictures at Booklover’s Gourmet. She says taking photos brings her peace, and it reminds her to be in the moment. She hopes others can find joy in her pictures. Error: Error validating access token: Session has expired on Monday, 08-Apr-19 19:39:38 PDT. The current time is Wednesday, 24-Apr-19 09:00:26 PDT.